Soups, stews, chili – all are the epitome of what we crave in the winter. Often they lack to be a comprehensive meal on their own, though. 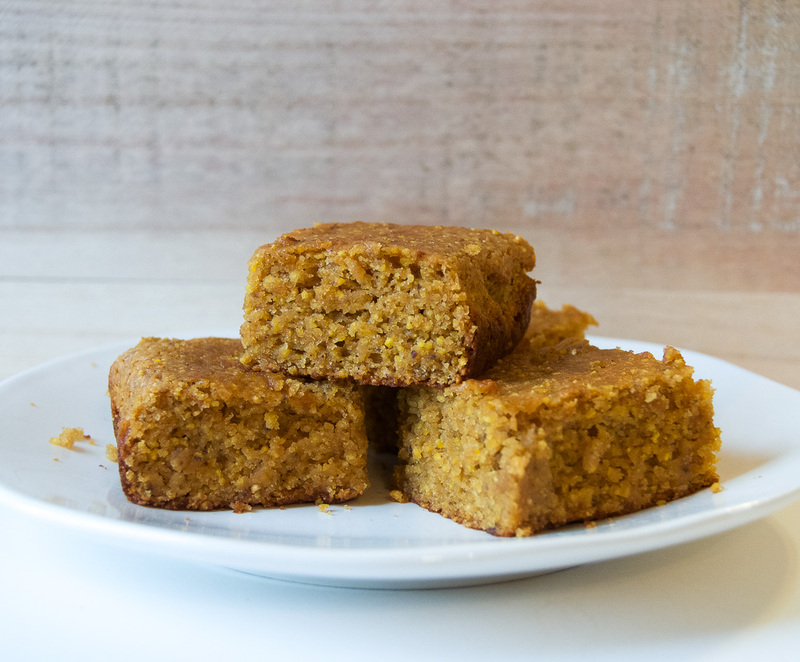 When searching for something to accompany our warming bowls, what could be better than a hearty, moist, melt-in-your mouth cornbread? Remaining reminiscent of the fluffy yellow muffins from your childhood, Cornucopia’s Store Manager, Drew, gave it his own twist. 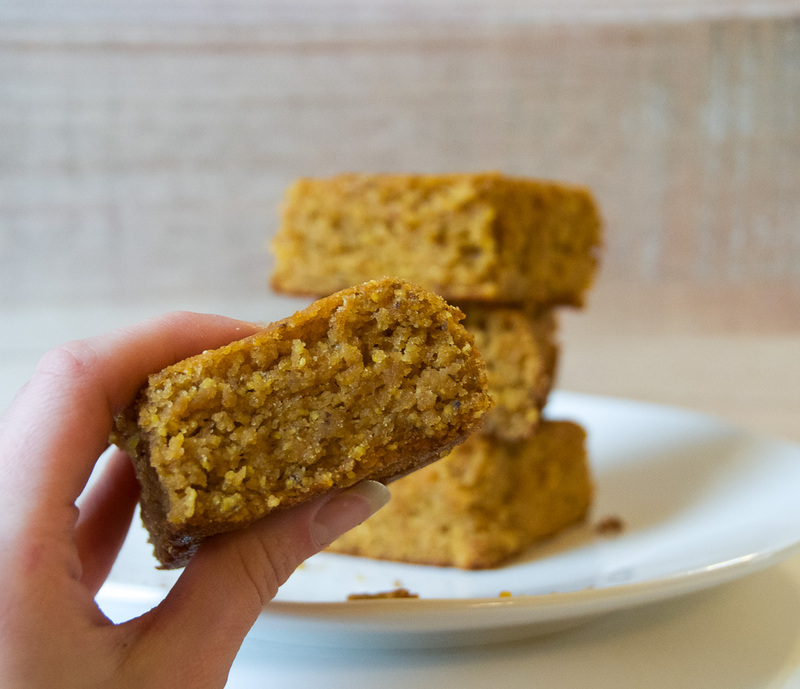 This cornbread is vegan, uses very minimal ingredients, and is “almost paleo” as corn is considered a grain and not paleo in nature. Don’t let those labels steer you away, when sampled to our employees this cornbread was a hit across the board! 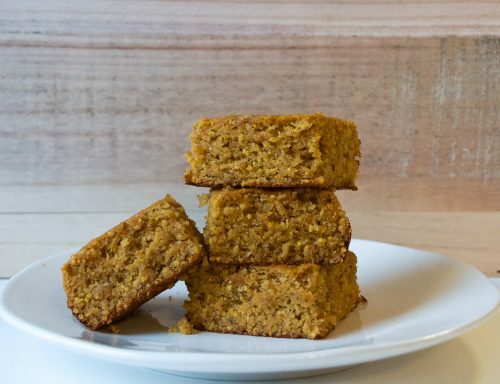 Full of healthy fats from coconut oil, almonds and flax seeds, this bread is buttery, fluffy and everything you could possibly want from a cornbread. So while your chili cooks away in the crockpot this weekend, whip this up as you wait. 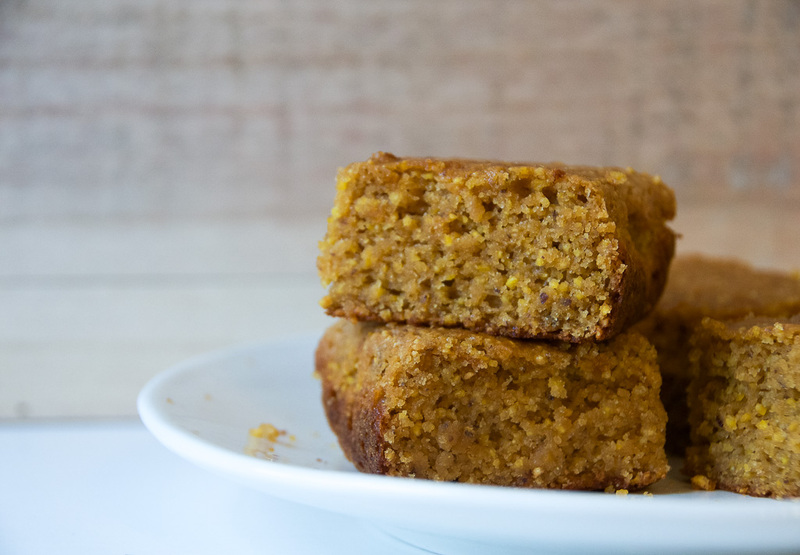 Whether its for a crowd or for your home, we know you’ll love this cornbread just as much as we all do! Blend together the soaked almonds, coconut oil and water until a smooth cream-like mixture forms. Add the blended ingredients into the dry ingredients to combine, then add the flax egg and mix thoroughly. Here you can stir in fresh or frozen corn kernels, if using. Pour batter in a greased or parchment paper lined baking pan (loaf pan, muffin tin, etc) and bake for 20-35 mins until a toothpick inserted into the center comes out clean. Enjoy!